The next time, though, she was in a hurry, for it was the week before Christmas and she had used her lunch hour to buy candy canes and paper to make chains for Christmas-tree decorations… So she went to her own laboratory as usual, saying that this would be the last time. That day, as luck would have it, she was discovered by Dr Ridgeley, who had come in to look at a patient’s blood sample. ‘What are you doing?’ he wanted to know, though he could see quite clearly from the apparatus, which still hung beside the couch where she was resting, as you were made to do after giving blood. ‘Christmas money,’ said Polly, smiling nervously and letting her clenched fist relax. His eyes got quite big and he turned and went out of the room. In a minute, he came back. He had been consulting the records. observations: And of course the doctor is absolutely right. Polly’s father, who lives with her, has mental health issues, and an irresponsible attitude to money. Poor Polly – she looks so old, one of the others says ‘seeing her in her white coat and low-heeled shoes and those matronly braids’. She’ll go through the mill in the course of the book, but she is the only one of the women allowed a textbook happy ending, and she is shown as having kindness and integrity. 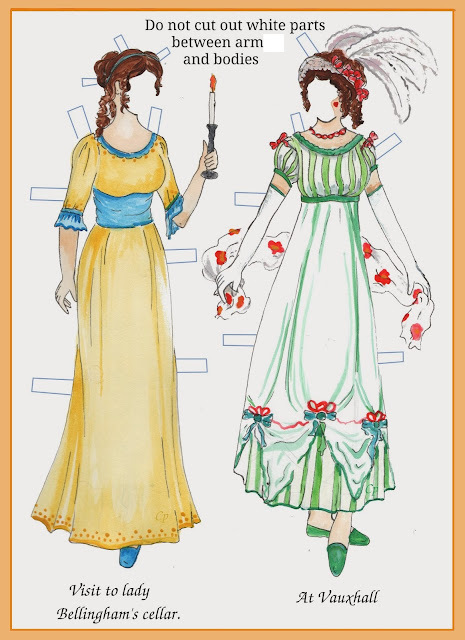 She featured in her party clothes in an earlier blog visit to the book. The book follows the stories of a group of female graduates from Vassar College from 1933 to the early 1940s, and feels very much of its time but never old-fashioned – and the issues raised for the women are still relevant. It’s also hilarious and compelling. Links up with: Dress Down Sunday looked at black lace underwear in The Group. Special Christmas entries all this week and next week - yesterday's entry showed a more cheerful side of Xmas in hospitals. Blood being investigated for a quite different reason here. Another woman in a white coat here – a pharmacist this time. 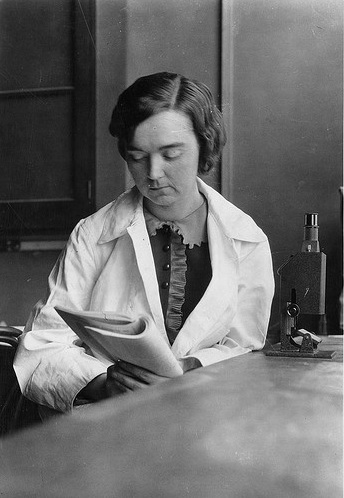 The photo is of Mary Van Rensselaer Buell (1893-1969), the first woman to earn Ph.D. in biochemistry at the University of Wisconsin, and is from the Smithsonian. Moira - It certainly seems both compelling and interesting from an historical perspective. Thanks for sharing this. I like the way you return to these books from different perspectives; it gives one a real feel for them. I read this book as a teenager and I remember being surprised at how fresh it seemed, especially when talking about the relationships the 4 women embark on. It's still on my bookshelf but I've not read it since. I'd be interested to see what I thought of it as an adult.